• Develop marketing strategies for events through coordination with other portfolios. • Outline specific tasks and deadlines for members of the Marketing team. • Perform final checks on marketing materials submitted by team members. • Obtain marketing approvals for events via Haskayne Marketing. • Engage Co-Presidents with consistent updates within the portfolio. • Coordinating with the marketing, academic, external, and internal teams to make updates on the ASA website. • Promote ASA events, sale of exam packages and tutorials, sponsor events, and any other relevant information to accounting students via Facebook. • Create a schedule of the Facebook posts and pre-set the posting date to ensure the spacing out of posts (so we do not spam followers!). • Respond to Facebook inquiries in a timely manner while communicating accurate information. • Communicate any discrepancies to other members if found to ensure all ASA resources are accurate. • Designs posters and videos advertising for ASA events and networking opportunities for over 800 accounting students. • Attend ASA events to take pictures and videos. • Prepare and deliver presentations to audiences of 60 – 80 to inform students about ASA networking events. • Knowledge of video / photo editing software and Microsoft Office applications is an asset. • Create content about accounting recruitment and general recruiting processes and experiences. • Assist in providing information and support to students during recruitment season. • Answer academic questions from students on review packages. • Create a preliminary budget for all events and update accordingly. • Create an agenda and plan detailed logistics for each event. • Delegate tasks to each Event Director and volunteer in regards to the event approvals, emails, room booking, event planning, and event execution. • Assist event directors with obtaining event approvals from faculty/staff. • Coordinate with the Vice-President of Marketing for deadlines on approvals and required materials for each event. • Help with yearly tasks such as the creation of the CPP spreadsheet and club insurance. 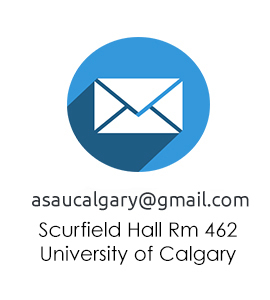 • Negotiate with Student Union and Haskayne School of Business to gain event approval for all components (i.e. SU, Haskayne events, marketing, and logistics, sponsorship, etc.). • Coordinate with sponsors for corporate relations and to manage event attendance. • Booking rooms for club events. • Ensuring successful execution of club events through attendance and fulfilling assigned tasks. • Assisting the VP External with creating preliminary budgets and event agendas. • Extend any ideas for contingency plans and events that could be executed by the ASA. • Open to help any Event Directors with questions in regards to event approval submissions. • Prepare and submit Students Union & Haskayne event approval forms including the SU events form, as well as the various Haskayne approval forms (event, logistics, marketing, sponsorship). • Assist with planning the logistics of events that occur on or off campus. • Collect supplies needed for events (e.g. name tags, softball mittens, catering pick-up, etc.). • Ensure proper documentation and bookkeeping. • Ensure there is an appropriate float for sale of exam packs and depositing money. • Create an annual report for the Students’ Union. • Issue cheques for invoices and reimburse expenses. • Coordinate classroom presentations to promote upcoming ASA events. • Research and organize group volunteer activities. • Assist with planning team building events. • Assist VP with creating a budget. • Help prepare the annual report. • Assist in the sale of midterm and final exam packages for ACCT 217 and 323. • Coordinate the selling and distribution of ASA merchandise with CUS. • Maintain communication and relations with CUS/HSA representatives. • Maintain communication with corporate partners regarding club sponsorship. • Coordinate and organize sponsorship agreements.